In the early days of the western United States, a masked man and an Indian rode the plains, searching for truth and justice. Return with us now to those thrilling days of yesteryear, when—from out of the past!—come the thundering hoofbeats of the great horse Silver! The Lone Ranger rides again! Little did I know, as a freckle-faced lad, that those lines in a children’s show—dreamed up by scriptwriters for Detroit’s WXYZ—would come to articulate the dubious conditio sine qua non of America’s military-industrial-media complex. 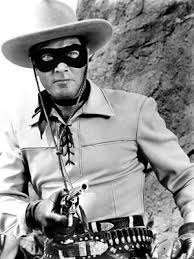 Such is now clearly the case: the Lone Ranger, as metaphor for President Barack Obama, is determined to bomb Syria with Tomahawks—the long-range, subsonic cruise missiles named for the American Indian battle-axe used by Tonto’s homeboys. BOMB THROWERS, from left: National Security Advisor Susan Rice, senior doddering old man of the U.S. Senate, John McCain; President Obama, a lone ranger in search of justice, if not truth; and Lindsey Graham, the Senate’s reigning tonto. When America readies its BGM-109 Tomahawks for firing at a foreign target—with boosters, these babies weigh 3,500 pounds each [1,600 kg], and cost $1.45 million a pop [€1.1 million]—it is useful to pose some questions. In the war fever context of Syria, these would be: do average Americans, let alone employees of the Pentagon, know where Syria is—or Damascus; do we have basic comprehensions of the political, criminal, and cultural circumstances that require urgent U.S. intercessions; is the government’s case for bombing credible; are we justified in our sense of déjà vu? Syria? Vietnam? Where the heck’s them places? During the Vietnam War (1955-1975), known throughout Southeast Asia as the American War, I fought on the home-front side of resistance. If medals were given to veterans of pepper gassings and police clobberings, I would own a certain share of honor. I claim no special wisdom in this: it simply occurred to me that I and most of my countrymen had never heard of Vietnam until the Central Intelligence Agency began sending squads of “military advisors” to that sorry land, its people exhausted from driving out French colonialists. Accordingly, I reasoned that it is not a good idea to send battalions of the U.S. Army, Navy, Air Force, and Marine Corps to invade a country—or saturate its provinces with Napalm, the gelatinous, acidic gas that adheres to human skin, causing severe and potentially lethal burns, as famously recorded in a photograph of maimed children—unless we least know where that country is. As for Syria: I will certify that a chinless wonder called President Bashar al-Assad has committed war crimes—the most heinous being mass poisoning of civilians in areas generally opposed to his dictatorship, according to concurring analyses of British, French, Israeli, and U.S. intelligence agencies. Details differ, but these four intelligence services concur: Assad has authorized use of sarin gas, the nerve-crippling compound specifically outlawed in United Nations Chemical Weapons Convention of 1993 (to which Syria is not a signatory). The latest of several usages was August 21, when some 1,429 victims in the suburbs adjacent to Damascus were killed—including some four-hundred children, according to President Obama. As a parent and grand-parent, and a person of non-pacifist impulse under righteous circumstances, I would be pleased to see the Syrian people despatch the odious Assad in the same manner by which Libyans resolved the problem of Muammar Gaddafi in 2011. And as for the geographical questions of Syria and its capital city, my Vietnam reasoning applies. A new computer game at the website usvsth3m.com shows a world map under the headline, “Where’s Damascus?” Of sixty-five guesses from respondents who work at the U.S. Department of Defense, only fifty-seven percent approximated location within 200 miles [322 km]. You can well imagine the how low that percentage was among Americans in general. A-rabs, shmay-rabs? What’s the diff? The enigmatic, historically persecuted Alawite sect of Shi’ite Islam constitutes merely twelve percent of Syria’s majority Sunni population. The Alawite minority consolidated power in the violent coup d’état of 1970: Hafez al-Assad ousted Sunnis from the government, proclaimed himself president, and installed his co-religionists as ferocious palace guards and army commandants. In 2000, Assad père bestowed continuing authority to the mandible-challenged Assad fils. Huh? So that’s what we’re doing? On a daily basis, the American corporate media obliges the president and the Pentagon with a simple-minded tattoo: Syria is not Vietnam, and certainly not Iraq. Obliging further, scriveners of the press and well-coifed TV commentators employ a form of Orwellian newspeak reminiscent of both Vietnam and Iraq—per phrases such as “surgical strike” and “limited engagement” and “freedom” and “absolutely no boots on the ground” and “threats to our national security” and “weapons of mass destruction” (other than bombs and bullets, of course). The president’s televised drumbeat for war, in the holy name of protecting democracy and U.S. “credibility,” was made on the sultry Saturday of August 31, in the Rose Garden behind the White House. Questions from reporters were not entertained. Ongoing “hearings” in Congress are open to presentations by officials of the Obama administration, and members of the Washington’s well-heeled political class. However, the vast majority of ordinary citizens who oppose yet another American insinuation into a foreign civil war—six in ten of us want no part of the Syrian mess, according to an opinion poll released September 3 by ABC Television News and the Washington Post newspaper—have no place on the agenda. Troublemakers who voice objection from the balconies are swiftly ejected by Glock-packing officers of the Capitol Police Department. As I write, the Foreign Relations Committee in the upper house of Congress—the Senate—has adopted a resolution of support for Mr. Obama. Strings are allegedly attached: missile strikes against Syria must occur within a period of sixty days, with allowance for a single thirty-day “extension,” with no infantry grunts any time. Leading the charge, despite their contempt for the Democratic Party president, were John McCain and Lindsey Graham—the Senate’s most reliably war-crazed Republicans. One extension, no infantry. Nudge-nudge, wink-wink, say-no-more. The lower House of Representatives, controlled by regressive extremists of the Republican persuasion, has yet to render judgment. Thirty-eight years following fakery in the Gulf of Tonkin—a sufficient span of time to further dull America’s notoriously dull historical memory—Congress enacted Public Law No. 107-243 in October 2002, enabling then-President George W. Bush to implement a gigantic midnight bombing raid on Baghdad, dubbed “Operation Shock and Awe” by its chief architect, Defense Secretary Donald Rumsfeld—whose glee in firing off deadly pyrotechnics so appalled his cousins in the Bremen suburb of Weyhe-Sudweyhe that they disowned him as a family member, according to The Telegraph of London. On February 6, 2003, then-Secretary of State Colin Powell made what seemed a convincing case for invading Iraq with a parade of falsehoods; whether knowingly or unwittingly, disingenuousness matters little to a corpse. In telling the United Nations Security Council of intercepted Iraqi army telephone communications, Mr. Powell “decided to add his personal interpretation of the intercepts…taking them substantially further, and casting them in the most negative light,” according to “Plan of Attack,” a book by the eminently credible Bob Woodward, a Washington Post editor. Nothing of the sort was ever found—not by U.N. weapons inspectors, not by their American or British counterparts. In a September 2005 interview with ABC, Mr. Powell said the memory of his U.N. charade was personally “painful” and a “blot” on his professional record. According to iraqbodycount.org, a website administered by a British-based non-governmental research group, as many as 125,360 Iraqi civilians were blotted from Earth as a result of Mr. Powell’s painful experience. The number of American soldiers killed, according to the U.S. Defense Department, is 4,486. The number of the maimed, the missing and orphaned, and the doomed is too vast and changeable for objective counts. Let us now pause, in consideration of two ironies, the first involving Mr. Obama. Shortly after his inauguration in January 2009, our new president was awarded the Nobel Peace Prize. This was largely due to his condemnation of Mr. Bush’s ruinous Iraq War during his struggle against Hillary Clinton, his chief rival for the Democratic presidential nomination in 2008; then-Senator Clinton voted favorably on Public Law No. 107-243 in October 2002, giving the go-ahead to Mr. Bush. Then there is the confounding matter of John Kerry, who succeeded Ms. Clinton as secretary of state in the Obama administration. [T]here is nothing in South Vietnam which could happen that realistically threatens the United States of America. And to attempt to justify the loss of one American life…by linking such loss to the preservation of freedom…is, to us, the height of criminal hypocrisy. We found that not only was [the Vietnam War] a civil war, an effort by people who had for years been seeking their liberation from colonial influence…[but that most Vietnamese] didn’t know the difference between communism and democracy…They wanted everything to do with the war, particularly with this foreign presence of the United States, to leave them alone…We saw Vietnam ravaged equally by American bombs [and] Viet Cong terrorism, and yet we listened while this country tried to blame all of the havoc on the Viet Cong. We are here to ask, and to ask vehemently, Where are the leaders of our country? Where are they now—now that the men they sent off to war have returned? These are the commanders who have deserted their troops. …These men have left all the casualties, and retreated behind a pious shield of public rectitude. We wish that a merciful God could wipe away our own memories of service as easily as this administration has wiped away their memories of us. …And so, when thirty years from now our brothers go down the street without a leg, without an arm, or a face, and small boys ask why, we will be able to say “Vietnam,” and not mean a desert, not a filthy obscene memory, but mean instead where America finally turned, and where soldiers like us helped her in the turning. I would urge Mr. Kerry to re-read his testimony of 1971, when he was a 28-year-old veteran impassioned by truth. I would like an honest answer to the biggest and sorriest question on the eve of America’s intent to rain down death and destruction in a far-off land—yet again: What empirical evidence exists that could lead ordinary Americans to trust the word of their government on matters of war? Tyrants the likes of Bashar al-Assad will forever be with us, long after the body counts they cause. They are with us now: Kim Jong-un, for instance, the fat Stalinist boy-king of Pyongyang, North Korea. According to South Korea’s Ministry of National Defense, its neighbor to the north ranks third—after the U.S. and Russia—in stockpiles of chemical weapons. The ministry estimates that North Korea possesses between 2,500 and 5,000 metric tons of nastiness [2,500,000 – 5,000,000 kg]—including phosgene, hydrogen cyanide, mustard gas, and sarin. Quite credible reports note that Fat Boy has likely used sarin against his own people; likewise, it seems that Russia serves as Syria’s pharmacist in matters of sarin refill prescriptions. Yet I hear no plans to bomb Pyongyang (and certainly not Moscow). Perhaps Assad should stick to bullets and starvation, à la Kim Jong-un, as means of slaughtering the troublemakers of Syria. This time around, an American president will not have the comfort of a British poodle to cuddle in his lap. Prime Minister Tony Blair served Mr. Bush in such fashion, although Mr. Blair eventually disobeyed his master. Try as he might, Prime Minister David Cameron failed to persuade the House of Commons to let loose the dogs of war. President François Hollande of France has expressed enthusiasm for Mr. Obama’s wish to bomb Damascus. So far, however, he plays the rôle of a man holding a combatant’s coat. Last Sunday, Chancellor Angela Merkel declared in a televised debate with Peer Steinbrueck, her anti-war challenger in the upcoming national election, “Germany will not participate” in missile strikes against Syria. Heigh ho the derry-o, the farmer in the dell. Heigh-ho the derry-o, the farmer in the dell! Heigh-ho the derry-o, the cheese stands alone!